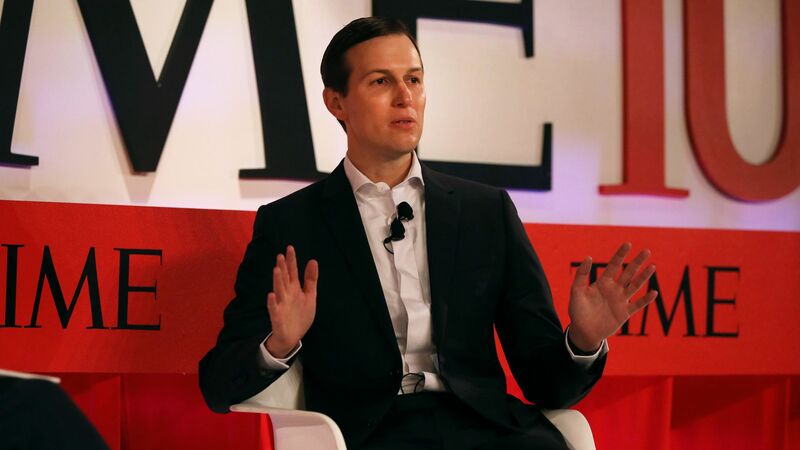 Jared Kushner, who is leading the White House "peace team," said at the TIME 100 conference in New York Tuesday that President Trump's peace plan will require “tough compromises” from both the Israelis and the Palestinians. Why it matters: Kushner said the White House will start laying out the plan in June, after the Muslim month of Ramadan. The officials leading the White House effort have begun to speak more publicly about the plan, but still aren’t offering any details. What he did say: Kushner said the U.S. peace plan will not focus on the process but on a detailed solution that will be presented to the parties. He also said the plan will focus on a "bottom-up" approach for improving the lives of Palestinians and solving the core political issues of the conflict. The trajectory of the Israeli-Palestinian conflict could be on the verge of significant change, but this will come neither from Israel's recently concluded elections nor the potential unveiling of the Trump administration's peace plan in coming months. The big picture: More important than what either the Israeli or U.S. governments will do is what will happen to the party about which one hears the least, the Palestinians. Their national movement has been missing in action on all matters concerning the future of Israeli-Palestinian relations. At some point, inevitably, that will change. Where it stands: In the wake of his electoral victory, Israeli Prime Minister Benjamin is likely to form a right-wing coalition, but it's too early to know how much influence the most extreme elements of his coalition will enjoy, whether he will abide by his last-minute pledge to annex West Bank settlements, or how long he can survive in the face of his likely indictment. On the U.S. side, the Trump administration could present its peace plan in June, or later, or not at all — with or without the political counterpart to the economic plan. Between the lines: Those questions notwithstanding, the direction of Israel’s policies in the occupied West Bank and East Jerusalem has long been set: expanding settlement construction and increased entrenchment. The main issue left to be determined is how far and fast that process will go. The basic trajectory of U.S. policy is also set. Assuming it is presented, and even if it some of its elements go beyond what Netanyahu's more right-wing coalition allies can stomach, the Trump administration's plan will fall short of what even the most pragmatic Palestinians can accept. Netanyahu likely will greet it with a "yes, but," some Arab states with a "no, but," and Palestinians with a flat "no." What will remain are U.S. decisions to move its embassy to Jerusalem, cut off assistance to the Palestinians and recognize Israeli sovereignty over the Golan Heights. The bottom line. The Palestinian's national movement is at a generational, political and strategic crossroads. Most Palestinians by now have given up on a two-state solution, negotiations, the U.S., and their own leadership. Virtually everything about their future is up for grabs: continue on the current path or demand equal rights in a single state, resolve divisions between Fatah and Hamas or descend into internecine strife, opt for a nonviolent mass protest strategy or resort to violence.